Summer is underway so it may seem a bit too late to start planning the building of a barbeque or gas braai. Who would do that? Well, a careful and strategic person might, giving them plenty of time to make the right decisions and plan each detail properly so that by the time next summer rolls around, they can enjoy afternoons outside, drinking cocktails and eating snacks. So let's take advantage of the time that we have and get to work! If you have the privilege of a garden or a terrace in your home, then this is something to really think about. We have a number of different ideas for building a braai area, which are all idea for hosting large gatherings with friends and families. First you have to figure out where the braai will be positioned and then you choose the right materials for the roof and the floor. Furniture is next and then last but not least, lighting. See our suggestions below for creating the perfect outdoor oasis. 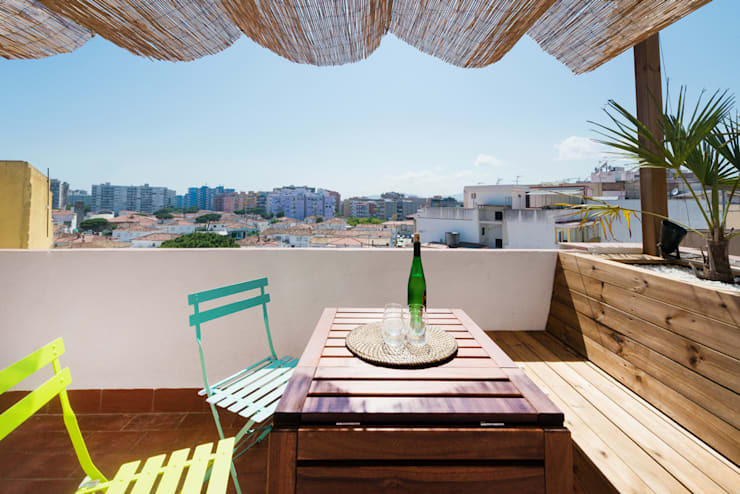 If your terrace is small, there may not be too many positions available for the gas braai. If you do have a large garden or outdoor patio, however, you should think carefully about where the best place to install your braai is. When building a braai or barbeque, you are adding a permanent feature to this space so think carefully before making a decision. 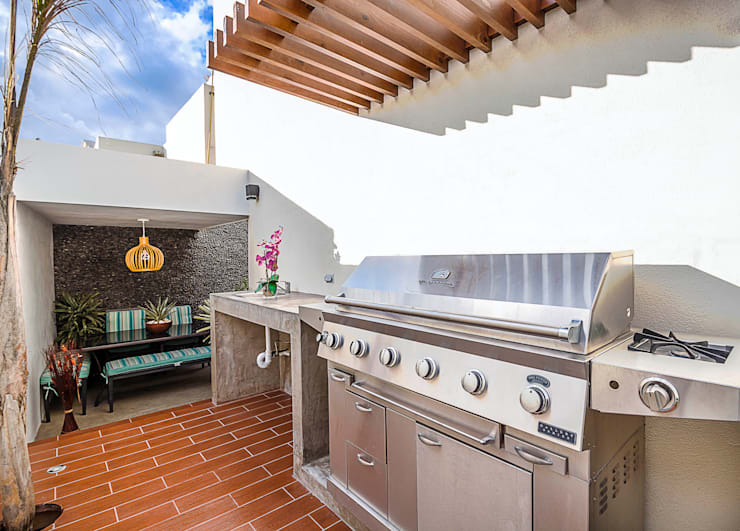 The ideal space needed for a braai or barbeque area is at least 10 square metres. However, if you can manage 25 square metres then that is perfect! You need space for the braai itself, a side table and a space for your guests—at least six to eight of them where they can move around and sit comfortably. If you can fit a table and kitchen supplies in too, even better! Remember that your gas braai will need to be connected to a gas network and be near water and light so that you can cook without having to keep running back into the house. 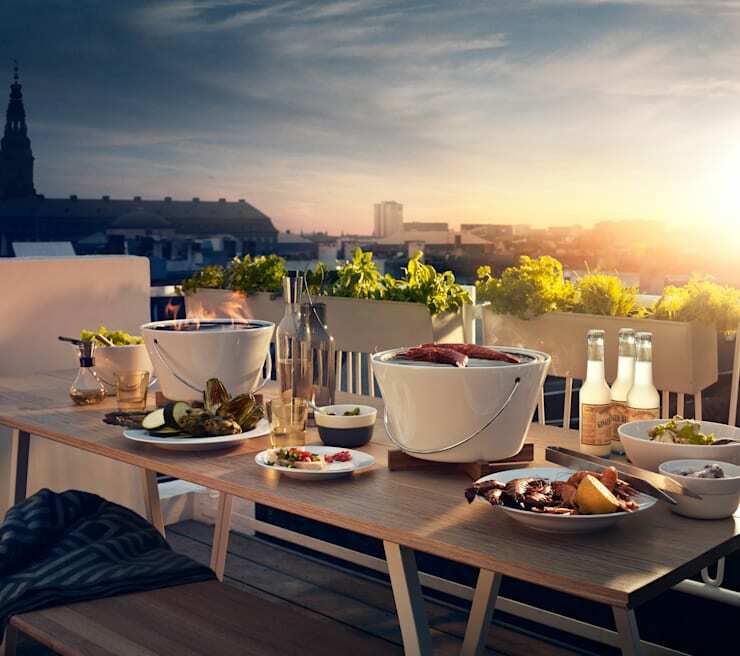 What kind of barbecue or braai do want on your terrace? There are several different styles that you can choose from, but the most common is the rustic style, which is associated with natural materials such as wood or stone, such as this one seen in this photograph in a country setting. It's also important to remember that gas braai's or barbecues have advantages and disadvantages. Advantageously, gas allows for the food to be ready quickly because you just turn on the braai and you're ready to fire away. You don't have to wait for the coals to be lit and then to cool down to cooking temperature. You also don't have to light the coals or wood each time you braai and then have to clean up the braai after every meal. A disadvantage is that you don't get the same flavours when you cook with gas. The smoked flavour from a traditional braai can only be achieved through that open and slow fire, which is associated with traditional braai methods in South Africa. The area around a barbecue or a braai gets dirty very quickly so you need to think carefully about what type of flooring that you want your braai to be placed on. Although beautiful, wood is not the best solution unless you have excellent cleaning tools. To avoid spending hours cleaning the floor or being inconvenienced by mess, we recommend that you opt for a tiled floor, as seen in the photograph where a braai area has been fantastically design by Stuka. This option is economic and easy to clean. With or without a roof? It would be a shame to miss out on hosting a braai or a barbecue just because of the weather. That's why we recommend considering installing a roof or a pergola so that you can enjoy a braai any time of the year. 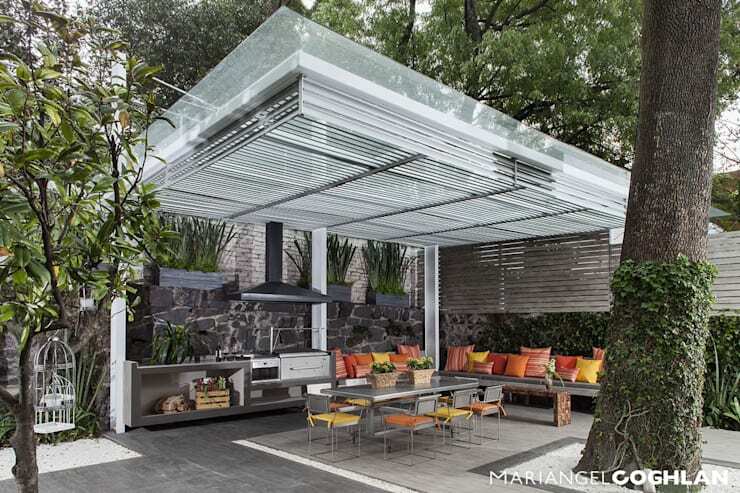 If you opt for a pergola, you can choose a laminated covering that goes over it, providing shade during the hottest of days. It will also protect the area from rain, wind or hail. You can also choose glass panels to effectively safeguard the space from bad weather, while still allowing you to see what is going on outside. Alternatively, you can build a wooden roof—an economic option that can be constructed quickly. The furniture is incredibly important as any braai worth its salt should have a table and chairs around it so that you can enjoy the food outdoors. The choice of style and the quality of the furniture is up to you. You don't need to create a luxurious space outside—it can be unpretentious and relaxed, where your family and friends can gather. In this example, there is a simple wooden table and folding, metal chairs. You can go more sophisticated if you want, however, with solid wooden tables and comfortable sofa chairs where you can spend hours relaxing and chatting. Just remember that you may not use this area all the time, so decide if it's worth investing a lot of money in quality furniture that may only be used seasonally. 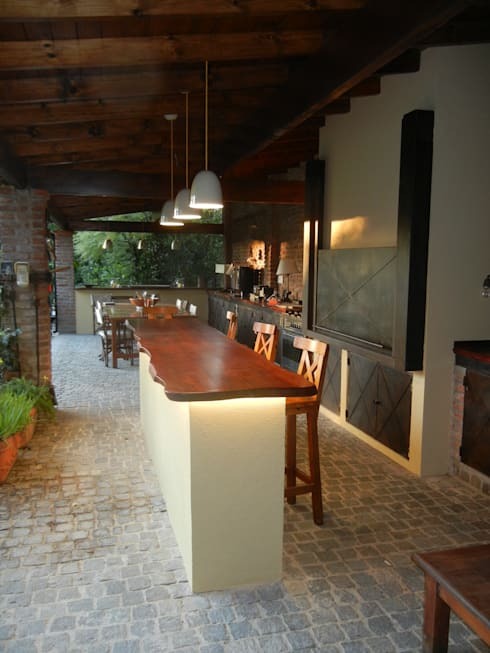 A mistake that is often made is the installation of a barbeque or braai area without any thought about the lighting. While many of these gatherings may be held in the day when there is sunlight, you want to also be able to enjoy this area at night. In this example, a braai with rustic touches is placed in an area where a number of hanging lamps have been installed to illuminate the table where the food will be eaten or where starters and snacks will be served. The area in the background also has suspended lamps above it. It's also important not to forget to install lights inside of the braai or barbeque. You want to be able to see what you are cooking! If possible, install a covered light in the braai area so that you can cook meat without problems. Make this area comfortable and trendy by adding cushy pillows, colourful dishes and vases of summer flowers. You can also add blankets for when it gets chilly, trays to serve the starters and the drinks and lamps or candles to the area. This design by De Vuurtafel should inspire you! Add a gorgeous sofa and a coffee table to the space and remember that a braai can also serve as a fireplace. With a few blankets and some snacks, you can enjoy the outdoors even in winter. This looks so comfortable, even the cat is sure to approve! 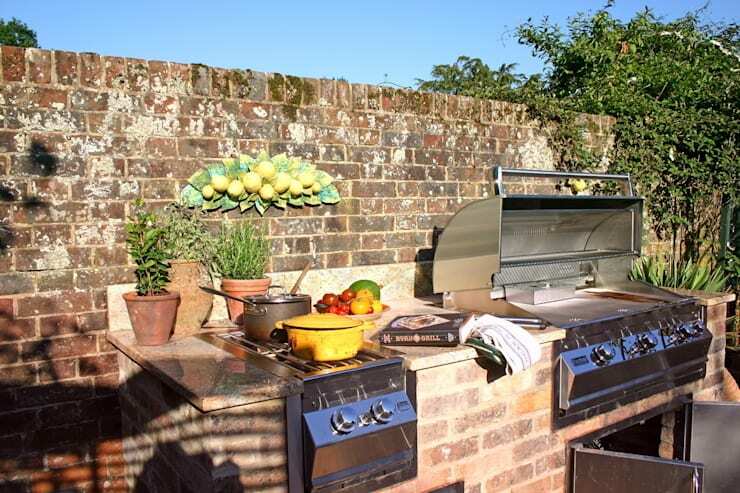 Check out this great range of braai/barbeque products for outside. 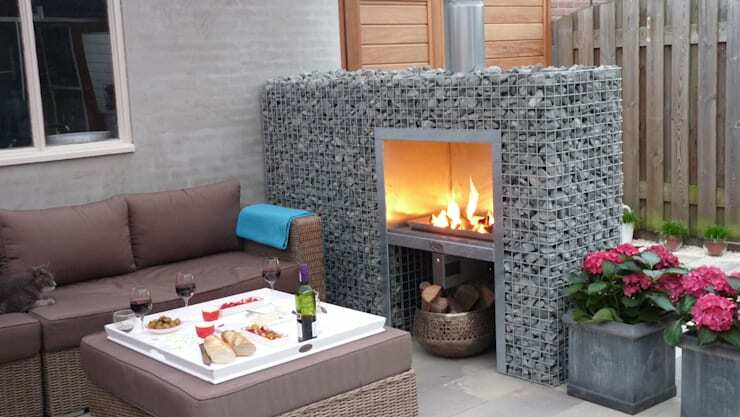 Everything is ready: the terrace has been adapted to fit the braai in and you have the ideal furniture. Now is the time to enjoy good times! You can use the same plates, cutlery and dishes from your kitchen but if you really want to go a step further, invest in quality knives to cut up the meat and different dishes for your outside dining area. Prepare large salad bowls and delicious vegetables for the table for when the meat is cooked. Don't forget to have a refrigerator ready to keep your drinks cool! Invest in a small fridge for outside so you don't have to keep going back into the house every time you are thirsty. If you like wine, you may also want to invest in high quality wine glasses that are more sturdy when used outside. These are eight absolute wonderful barbecues and braais? Don't you agree? If you're a fas of cooking, don't miss: The Simple Guide To More Spacious Kitchens. 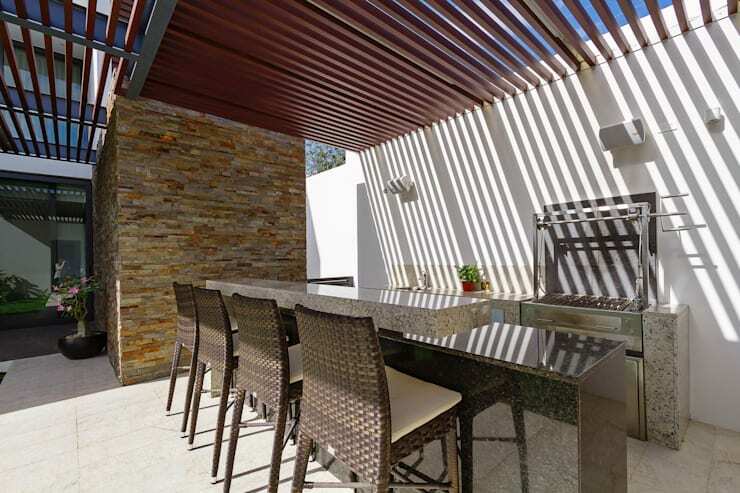 Would you love your own braai terrace? Which design was your favourite? Let us know!